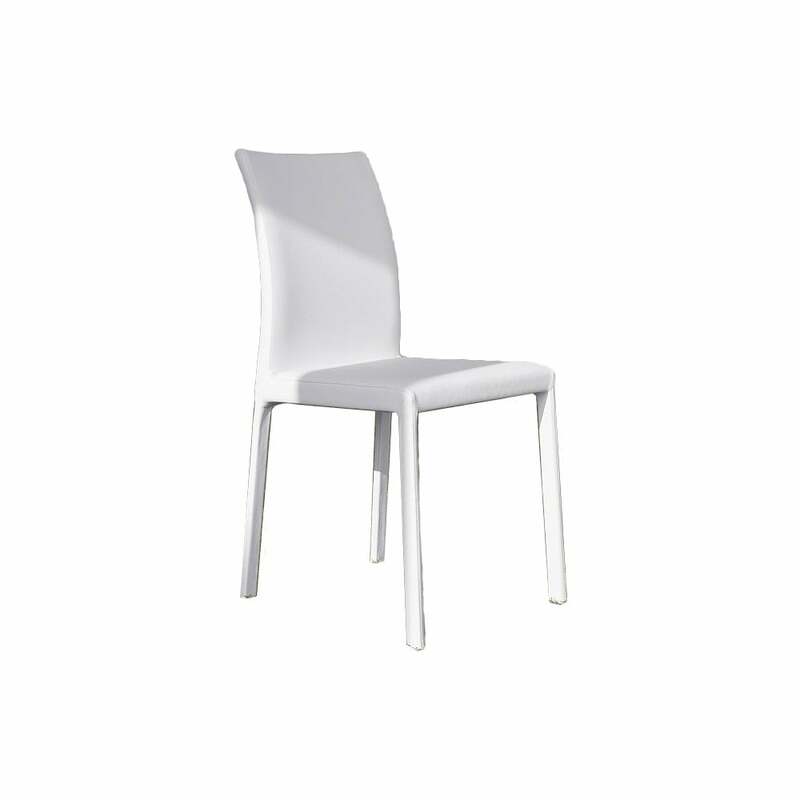 Chair with upholstered steel tube frame. The clean and essential lines of an impeccable elegance are the results of attention to the details. Elaborate simplicity enhanced also by the choice of a fine leather cover of quality.